By her beauty, elegance, and charm of manner, the Empress Eugénie contributed greatly to the brilliance of the imperial regime. When she adopted the new cage crinolines in 1855, European fashion followed suit, and when she abandoned vast skirts at the end of the 1860s, at the encouragement of her legendary couturier, Charles Worth, the silhouette of women's dress followed her lead again. Eugénie's aristocratic elegance, sartorial magnificance and legendary jewels are well documented in innumerable paintings, especially by her favourite portraitist, Winterhalter. Her interest in the life of Marie Antoinette sparked a fashion for furniture and interior design in the neoclassical style popular during the reign of Louis XVI. 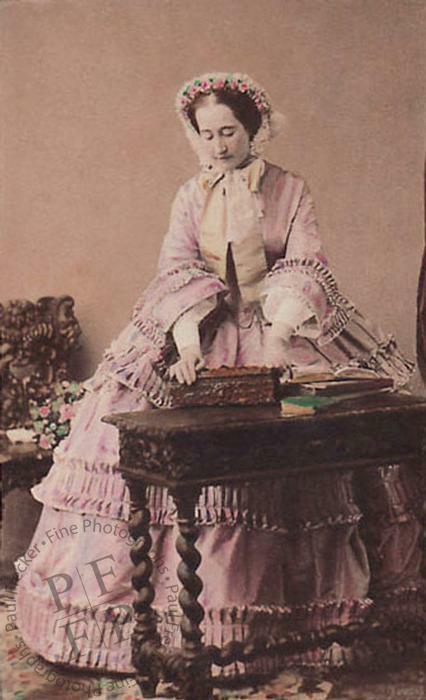 Given her education and intelligence, Eugénie's husband usually consulted her on important questions, and she acted as Regent during his absences, firstly in 1859, then again in 1865 and 1870. A Roman Catholic and a conservative, Eugénie's influence countered any liberal tendencies in her husband’s policies. She was a staunch defender of papal temporal powers in Italy and an ultramontanist. Because of this, she was hated by French anti-clericals and was frequently the subject of their scurrilously slander.